As we continue towards the laudable global goal of eliminating iodine deficiency, it is not lost on us that iodized salt was first introduced in the United States and Switzerland almost exactly 100 years ago, as a means of treating endemic goiter. Since then, and in particular within the past thirty years, salt iodization programs have become established in virtually all countries in the world. To me personally, being a part of an organization as interconnected as the IGN has been an exhilarating and humbling experience. At the core, we’re motivated by the fundamental knowledge that women who enter pregnancy while being iodine sufficient will give their children a better chance to achieve their full development potential. As a network of like-minded organizations, we’re guided by a common aspiration: a world where all children are born with the opportunity to thrive. Our mission is to achieve this by supporting National Universal Salt Iodization (USI) programs through better alignment of all program features. USI programs require the participation of a number of partners: the salt industry to source, process, and iodize raw salt; governments to mandate and monitor programs; civil society to encourage demand and compliance; and development partners to provide technical assistance and support programs on the ground. At a time when we are navigating complex and shifting global challenges, the need for collaboration is more critical than ever. Harmonization has been our modus operandi from the beginning, and with our partners we have successfully ensured that iodized salt now reaches over 86% of the global population. The IGN holds a unique place in these efforts, and serves as a model for the global public health nutrition community. Our role, and our greatest contribution, is to serve as a convener – facilitating consensus, securing a lasting commitment from stakeholders, and strengthening the efficiency of program implementation. Our role as a network serves to bring out the best in one another while eliminating redundancies and competition. As we enter 2018, it’s important to take stock of what we’ve learned and reflect on where we sit within the ever-shifting global public health landscape. I am encouraged by a number of trends in particular. The uneven achievements of the MDGs have brought home the message that collective action is critical to develop the systems and structures necessary to prevent malnutrition. In turn, improving nutrition has a ripple effect on education, poverty and equality. This symbiotic relationship has fueled a groundswell toward breaking down silos and forging strong partnerships. Particularly with the adoption of the Sustainable Development Goals (SDGs), actors across different sectors see more reason than ever to work together. To strengthen investments and commitments in large-scale national nutrition programs, there has been an increasing awareness that better nutrition has a ripple effect on outcomes across the Sustainable Development Goals (SDGs). Education, poverty and equality are all closely interlinked with nutrition, and as acknowledgement of this symbiotic relationship has grown, actors across different sectors see more reason than ever to work together. Fundamentally, preventing malnutrition requires strengthening investments and commitments in large-scale national multi-sector nutrition programs. The Scaling Up Nutrition (SUN) movement has been at the vanguard, through the formation of networks – of civil society, business, the UN, and donors. SUN’s country membership model enables alignment and exchange between countries, and fosters shared accountability. 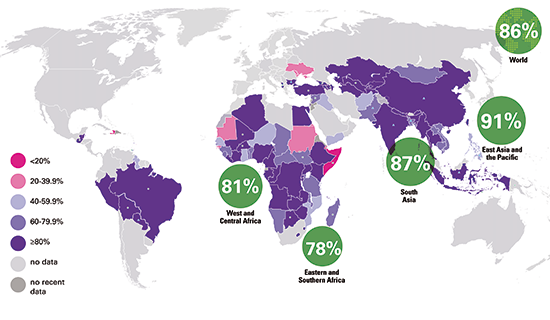 These trends toward harmonization are highlighted powerfully in the 2017 Global Nutrition Report . I am heartened that our work at the IGN is situated at the intersection of these wider trends in public health, and our strategic mandate is closely aligned with them. In 2017 we redoubled our efforts to further strengthen cooperation amongst partners at the global and national levels. In a major breakthrough, we launched the Global Fortification Data Exchange (GFDx) in partnership with the Food Fortification Initiative (FFI), the Global Alliance for Improved Nutrition (GAIN), and the Micronutrient Forum. The project was harmonization at its best – a micronutrient coalition formed around a shared conviction that better, standardized data is critical to inform effective policies and accelerate programs. The GFDx represents a major advance toward more efficient and effective micronutrient program delivery, and we believe that it’s a model for other interventions to follow. "There is growing recognition that collective action is critical to develop the systems and structures necessary to prevent malnutrition. There has been a groundswell toward breaking down silos and working together, in strong partnerships. (...) The Scaling Up Nutrition (SUN) movement has been at the vanguard." At the country level, to best support successful and sustainable salt iodization programs, we have to address the underlying challenges, and integrate solutions and programs into systems – the tenets of harmonization. To do this successfully, the first step is always understanding the landscape and the players. As I write this I am in Tanzania, where I have witnessed remarkable collaboration underpinned by a sense of shared commitment between diverse actors. 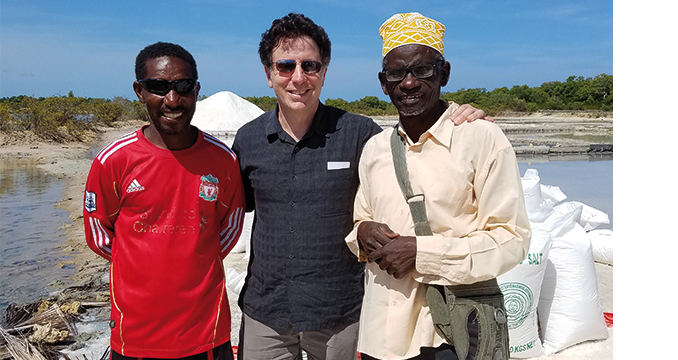 Right here, we are addressing a major barrier to achieving USI in the country – in this case, widely fragmented salt production by hundreds of small-scale producers – and are in the process of developing an innovative solution, which will consolidate salt iodization and transform the Tanzanian salt industry. 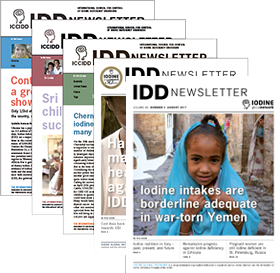 You can find out more about this work in our recent IDD Newsletter . To achieve this requires building consensus and trust. Throughout the world partners work together because they understand the value of iodine nutrition and its role in national development. Together, we have developed a common set of actions and a work plan that asks different groups for their respective contributions. If we succeed, it will not be thanks to any one group, but thanks to our broad coalition and the meaningful contributions we all make to it. Harmonization has been the IGN’s modus operandi from the beginning, and with our partners we have successfully ensured that iodized salt now reaches over 86% of the global population , and helped to achieve optimal iodine nutrition in all but 19 countries. We are proud to have a voice in the collective call to end malnutrition, and we remain focused on the network’s shared goal of eliminating IDD by 2020.